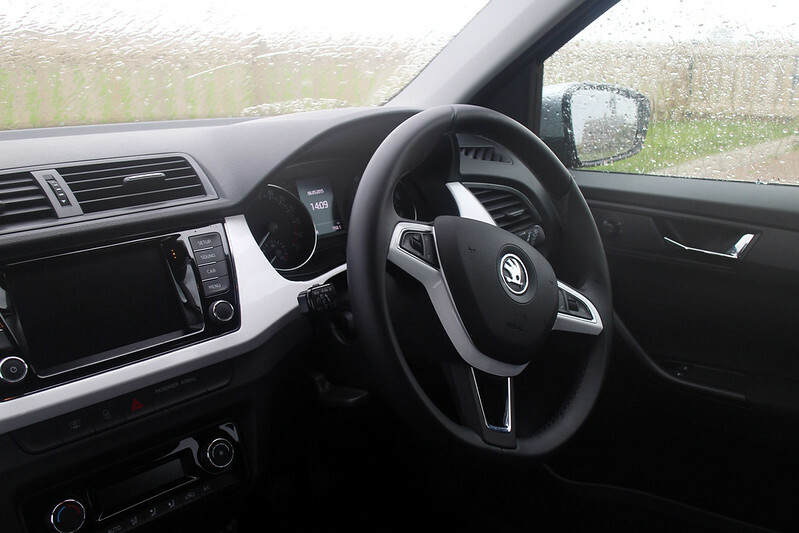 As Turn Eight’s long-time Škoda correspondent, I was more than a little excited about testing this bad boy all over Norfolk – and it didn’t disappoint. Check out the full video review below (my first!). 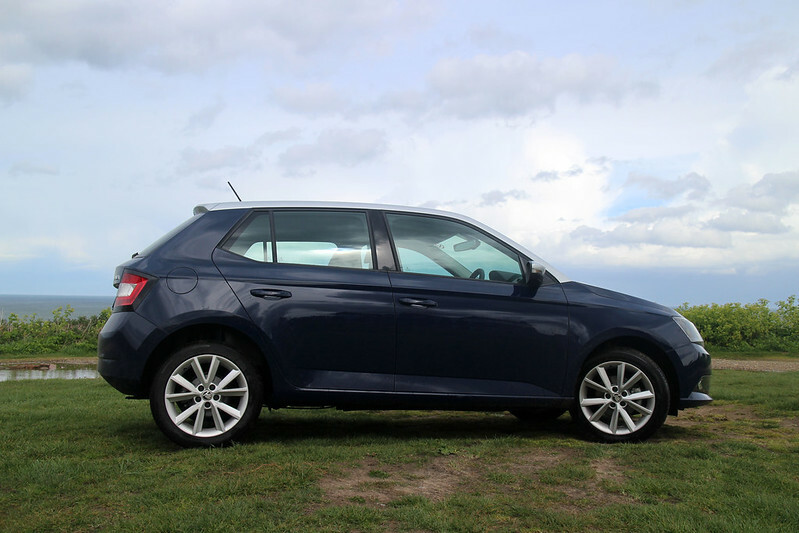 The Fabia has always been a good-looking car, but this particular model takes the cake. In Pacific Blue and Silver it’s undeniably handsome, and displays just how customisable the Fabis is. The square headlights of the older generations have been narrowed down, as have the side windows, and the backside of the car is sharper, giving it an overall more fierce, edgier look. The inside is also customisable, with this model having the Blue Jeans upholstery which matches the outer colour scheme. The touch-screen Infotainment system is large and easy to use, with the added bonus of a smaller ‘preview’ screen behind the steering wheel. As is par for the course with Škoda, the inside of the car is stuffed with useful storage space. The Simply Clever package offers a removable rubber phone slot near the USB point, a removable bin that clips into the door, surprise cup holders, and that astoundingly useful little wind-shield clip for your pay and display tickets. 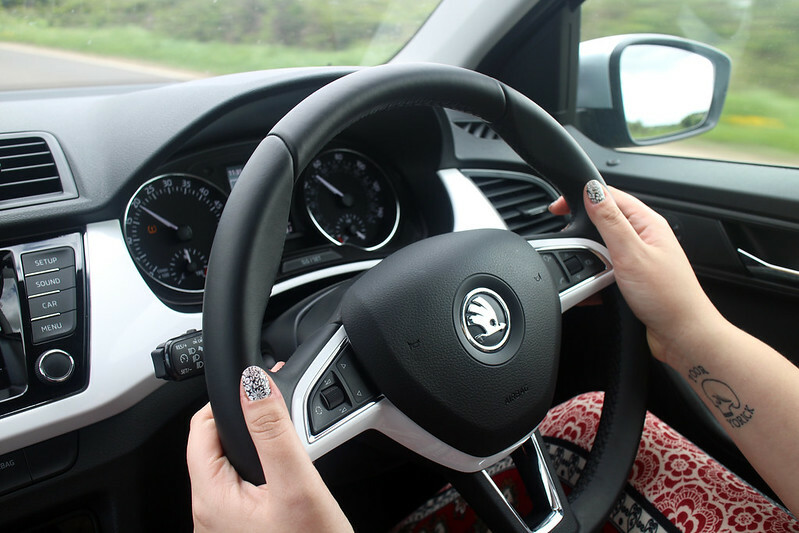 Another feature of this car which is synonymous with Škoda is the comfort. It has the kind seats you could spend all day in without getting Numb Bum Syndrome, plus there’s serious volumes of leg room – perfect for those of us of excessive stature. For all the useful storage space in the front, the boot room is more than enough for even one of mine and Jess’s road trips. The Simply Clever package offers extra slots and a durable plastic net that would be perfect for muddy boots. The 1.4 diesel engine gets a combined MPG of a whopping 83.1, with a maximum speed of 113MPH and a carbon dioxide output of just 88g per KM. 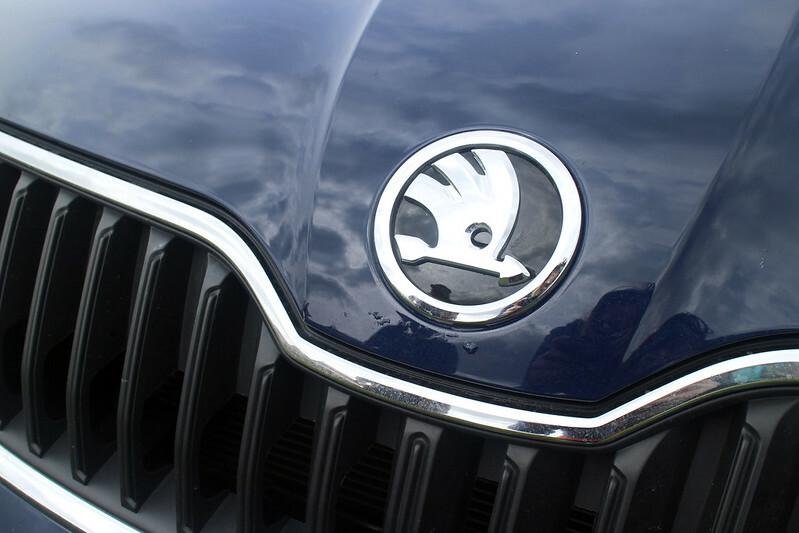 While the Škoda logo may have lost its green, the cars themselves haven’t. Given that this was my first time driving a diesel, the car and I had an interesting start. On realising that I needed to shift down to first when moving at a crawl (the button ignition makes stalling less embarrassing, at least), the Fabia and I got along famously. It’s admittedly sluggish – and noisy – in low-gear city speeds, but once we sped off on a coastal drive the power in this little 1.4 was obvious. While I didn’t get the opportunity to bring this car from 0-62, I fully believe the 11.1 second performance stats. 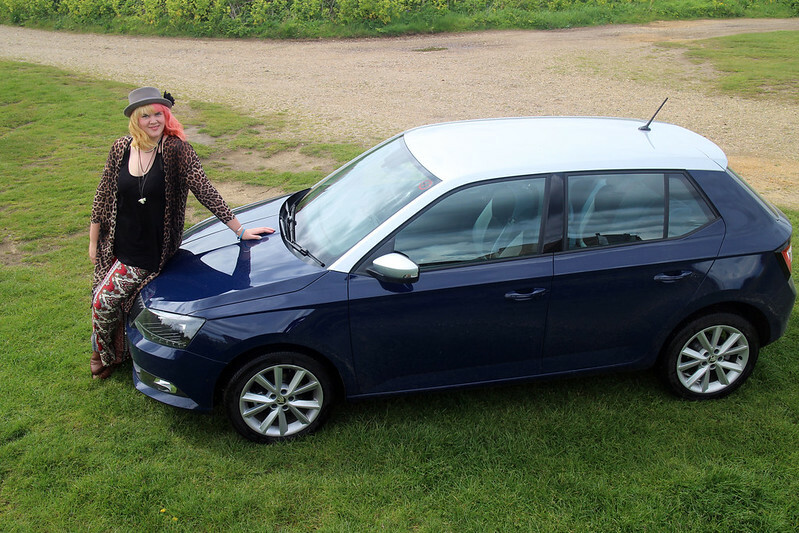 The Fabia is a great car for all types of people – families, couples, singletons – whatever. The storage and general economy make it practical, while the sharp lines of the exterior are seriously attractive. Although I wouldn’t choose the diesel version myself, this car has only enhanced my always-positive opinion of Škoda. Price from £16,240 – As driven £17,375. Find out more on the Škoda website. Škoda releases new safety equipment. For dogs.